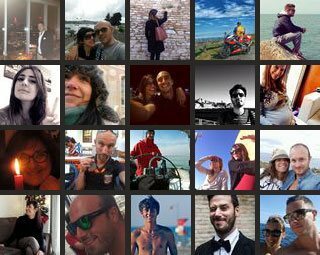 "We are real, not only On-line shop, and we would love to meet you"
"We would be glad to meet you at our office in Riccione"
Luxedo rose from an idea of Alessandro and Francesca, husband and wife. 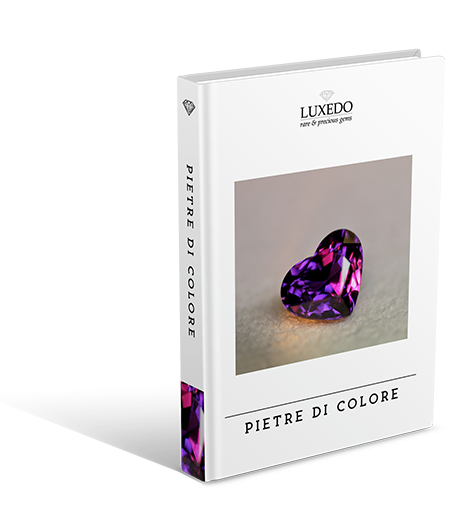 Through their common passion for luxury details, they combined their skills and realised a dream: creating exclusive jewels with unique gemstones of guaranteed quality, selected one by one with extreme care. Alessandro is a geologist and a graduated gemologist with a specialization at the International Gemological Institute (IGI) of Antwerp. He personally selects the rough minerals and the most unique and rarest gemstones directly from their original locations and analyses and certifies their quality through our gemological laboratory devices. Francesca is an architect and put her artistic flair on design and realisation of our customised jewels. Luxedo is a young still growing company, that aims at constant improvement yet is well-aware of the goals achieved, of its uniqueness and its key strength that make Luxedo stand out from all the other competitors, such as gem dealers, standard jewellers, mass-produced jewellery manufactures and impersonal e-commerce. Our philosophy is completely different: we aim for excellence in each of our products and for the full satisfaction of our clients and this requires dedication, continuous research and attention to every single detail. That’s why we are confident in putting our reputation on-line. We invest great resources in selecting and importing high quality gemstones and best potential rough minerals from all over the world. Once in Italy, our expert gem-cutters follow a complex cutting process, from the rough hew to the polishing of faceted gemstones, and transform the precious gems to give the best perfection and shine. We have created a gemological laboratory for analysis and grading of the precious gemstones we buy from all over the world. Today the laboratory is independent and provides gradings, reports, gemstone certification and gem evaluation also on behalf of third party. We use the forefront of technology for design development and customised jewels realisation, well aware that the “made in Italy” and the Italian goldsmith’s art are outstanding peculiarities to be proud of towards the rest of the world. Because we offer our clients the most complete expert and authoritative advice on the purchase of precious gemstones, the richest assortment of quality gemstones and an exclusive service of jewel customisation. Because we offer gemstones of guaranteed and certificated quality at the most competitive prices on the market. Direct importation allows us to achieve the best quality at best price. Because we provide our clients with skilled experts to assist them throughout the process, from purchasing the right gemstone to the creation of a customised jewel. Because we provide a service of gemmological analysis and grading and we organise gemological courses for amateurs. Because we offer diversified investment options in diamonds and gemstones with noticeable discounts off from international price lists. Because we give our products an extra value through an outstanding and precious packaging.